Is your jurisdiction a contracting state to the New York Convention on the Recognition and Enforcement of Foreign Arbitral Awards? Since when has the Convention been in force? Were any declarations or notifications made under articles I, X and XI of the Convention? What other multilateral conventions relating to international commercial and investment arbitration is your country a party to? Nigeria is a contracting state party to the New York Convention on the Recognition and Enforcement of Foreign Arbitral Awards (the Convention). Nigeria ratified the Convention on 17 March 1970, and it entered into force on 15 June 1970. 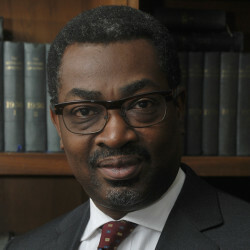 With respect to article I of the Convention, the relevant Nigerian law provides that any foreign award based on the Convention will only be recognised and enforced in Nigeria if the contracting state party where the award was issued has reciprocal legislation recognising the enforcement of arbitral awards made in Nigeria in accordance with the provisions of the Convention. That law also limits the applicability of the Convention to only differences arising out of a legal relationship that is contractual. Aside from the New York Convention, Nigeria is also a contracting state party to the Convention of the International Centre for Settlement of Investment Disputes (ICSID Convention). The Convention was ratified in August 1965 and entered into force in October 1966. Do bilateral investment treaties exist with other countries? the United Kingdom (11 December 1990). What are the primary domestic sources of law relating to domestic and foreign arbitral proceedings, and recognition and enforcement of awards? Nigeria became a signatory to the New York Convention 1958 on 17 March 1970, adopting both the reciprocal and commercial reservations. The Convention came into force in June 1970. The New York Convention has been incorporated as a schedule to the ACA. The ACA is the primary law governing arbitration in Nigeria. It governs both domestic and foreign arbitral proceedings and incorporates the Convention in its Second Schedule. The ACA does not specifically define what a foreign award is, but since the Convention forms part of the ACA, reliance is usually placed on article 1 of the Convention, which defines the scope of the applicability of the Convention to include arbitral awards made in the territory of a state other than the state where the recognition and enforcement of such awards are sought. It further extends to arbitral awards not considered as domestic awards in the state where their recognition and enforcement are sought. Therefore, there is the possibility under Nigerian law to consider arbitral proceedings made within the Nigerian territory as foreign. The LSAS operates in Lagos State, save where parties expressly designate that some other law should govern arbitral proceedings between them. Is your domestic arbitration law based on the UNCITRAL Model Law? What are the major differences between your domestic arbitration law and the UNCITRAL Model Law? Arbitration Law in Nigeria is, largely, based on the 1985 text of the UNCITRAL Model Law and the Arbitration Rules, which are contained in the First Schedule to the Act. One major difference between domestic arbitration law and the UNCITRAL Model Law is that under section 19 of the UNCITRAL Model Law, parties are given the autonomy to agree on the procedure to be followed by the arbitral tribunal for the conduct of the proceedings; but in the ACA, the parties, as well as the arbitral tribunal, are bound by the provisions of the Arbitration Rules. The LSAL is also based on the UNCITRAL Model Law, but it takes into account amendments adopted in 2006. What are the mandatory domestic arbitration law provisions on procedure from which parties may not deviate? Parties are generally bound by the substantive arbitration law as contained in the ACA. They are also bound by the procedural rules (the Arbitration Rules) contained in the First Schedule of the Act. Arbitration agreements that contravene the provisions of the Act and the rules in the First Schedule thereof shall generally be declared void by the competent Nigerian court. Is there any rule in your domestic arbitration law that provides the arbitral tribunal with guidance as to which substantive law to apply to the merits of the dispute? Article 33 of the Arbitration Rules contained in the First Schedule of the ACA gives parties the liberty to designate which law will be applicable to the substantive matter. The arbitral tribunal shall decide as amiable compositeur or ex aequo et bono only if the parties have expressly authorised the arbitral tribunal to do so and if the law applicable to the arbitral procedure permits such arbitration. In all cases, the arbitral tribunal shall decide in accordance with the terms of the contract and shall take into account the usage of the trade applicable to the transaction. What are the most prominent arbitral institutions situated in your jurisdiction? Are there any types of disputes that are not arbitrable? all relationships of a commercial nature, including any trade transaction for the supply or exchange of goods or services, distribution agreement, commercial representation or agency, factoring, leasing, construction of works, consulting, engineering, licensing, investment, financing, banking, insurance, exploitation agreement or concession, joint venture and other forms of industrial or business cooperation, carriage of goods or passengers by air, sea, rail or road. It therefore follows that tax (Esso Petroleum & Production Nig Ltd & SNEPCO v NNPC, Unreported Appeal No. CA/A/507/2012 delivered on 22 July 2016), criminal, land and property (as far as it goes to the root or title), constitutional and matrimonial matters, national security disputes and company law disputes, like winding-up and bankruptcy and so on, are not arbitrable in Nigeria. What formal and other requirements exist for an arbitration agreement? an exchange of points of claim and of defence in which the existence of an arbitration agreement is alleged by one party and not denied by another. In what circumstances is an arbitration agreement no longer enforceable? Section 2 of the ACA is unequivocal on the non-enforceability of an arbitration agreement. It provides that, unless a contrary intention is expressed in the agreement, an arbitration agreement shall be irrevocable except by agreement of the parties or by leave of the court or a judge. In which instances can third parties or non-signatories be bound by an arbitration agreement? Section 3 of the ACA makes it possible to enforce an arbitration agreement against the personal representatives of a deceased party. Liquidators will also be bound by the decision of an arbitral tribunal if appointed by the court. Does your domestic arbitration law make any provisions with respect to third-party participation in arbitration, such as joinder or third-party notice? There is no provision on joinder of parties in the ACA. However, the LSAL, which is only applicable within Lagos State, provides that a party may, by application and with the consent of the parties, be joined to arbitral proceedings. Do courts and arbitral tribunals in your jurisdiction extend an arbitration agreement to non-signatory parent or subsidiary companies of a signatory company, provided that the non-signatory was somehow involved in the conclusion, performance or termination of the contract in dispute, under the ‘group of companies’ doctrine? Under Nigerian law, the ‘group of companies’ doctrine is not recognised. Only parties to an agreement are bound by the arbitration agreement. Group companies will therefore only be recognised as parties to an arbitration agreement or an arbitration proceeding upon the express agreement of the parties to the arbitration agreement. However, courts or an arbitral tribunal will ‘pierce’ the corporate veil to bind a third-party group company, where the arbitral tribunal or the court is persuaded that the existence of a separate corporate entity is merely a façade (Alade v Alic Nigeria LTD (2010) 19 NWLR PART 1226, 111). What are the requirements for a valid multiparty arbitration agreement? The ACA makes no provision for a valid multiparty arbitration agreement. Thus, since there is no prohibition of such an arrangement under the Act or any other law, parties may agree to confer on the arbitrator, in the case of multiplicity of claims, power to consolidate the claims or join other claims. The LSAL makes express provision for the consolidation of arbitral proceedings or concurrent hearings upon agreed terms. Are there any restrictions as to who may act as an arbitrator? Would any contractually stipulated requirement for arbitrators based on nationality, religion or gender be recognised by the courts in your jurisdiction? Serving judges cannot act as arbitrators. The Act does not specify any qualifications as to who may act as an arbitrator. the arbitrator’s legal knowledge and special qualifications. Contractual terms stipulating the appointment of arbitrators based on nationality, religion or gender would be recognised and enforced by the courts. Who regularly sit as arbitrators in your jurisdiction? The available evidence indicates that the vast majority of arbitrators appointed in Nigeria are lawyers. The tendency is for practising lawyers who are members of one of the numerous arbitration institutions to be appointed. Retired judges and law professors are also occasionally appointed. It is unusual for in-house counsel or government officials to be appointed. In the case of government officials, such appointments would be unlawful, as government officials are prohibited from engaging in private work. With regard to in-house counsel, the majority would be prohibited from sitting as arbitrators by provisions in their contracts of employment. 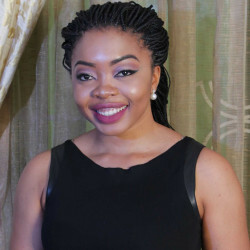 Although the absence of gender diversity does not appear to be a major problem in Nigeria, with a significant proportion of appointments being of female arbitrators (not up to 50 per cent, but certainly approaching, if not exceeding, 40 per cent), the Nigerian arbitration community has embraced recent efforts to provide for diversity in institutional appointments. Failing prior agreement of the parties, what is the default mechanism for the appointment of arbitrators? In line with section 6 of the ACA, parties to an arbitration agreement may determine the number of arbitrators to be appointed under the agreement, but where no such determination is made, the number of arbitrators shall be deemed to be three. Also, section 7 of the ACA provides that where the arbitral tribunal is deemed to be three and the parties fail to appoint a third arbitrator within 30 days, any party to the arbitration agreement may apply to the court to appoint an arbitrator to preside over the arbitral proceedings. Furthermore, where it is agreed by both parties that there will be a sole arbitrator and the parties fail to agree on a choice of arbitrator, any party can apply to the court within 30 days to appoint an arbitrator to preside over the arbitral proceedings. Under the LSAL, Section 7(3), If there is no agreement as to the number of arbitrators, the arbitral tribunal shall consist of a sole arbitrator. On what grounds and how can an arbitrator be challenged and replaced? Please discuss in particular the grounds for challenge and replacement, and the procedure, including challenge in court. Is there a tendency to apply or seek guidance from the IBA Guidelines on Conflicts of Interest in International Arbitration? Section 8(3) of the ACA, provides that an arbitrator can be challenged and replaced if circumstances exist that give rise to justifiable doubts as to his or her impartiality or independence, and if he or she does not possess the qualification agreed by both parties. Section 9(1) to (3) further provides that a party challenging the arbitrator must, within 15 days of becoming aware of the constitution of the arbitral tribunal or the circumstances stated in section 8 of the Act, send to the arbitral tribunal a written statement stating the reasons for the challenge. The ACA further provides that an arbitrator can be replaced where an arbitrator dies or resigns during the course of proceedings, or where he or she fails to act or in the event of the de jure or de facto impossibility of performing his or her functions. The IBA Guidelines on Conflicts of Interest in International Arbitration have been referred to, with approval, in a number of decisions of the courts, relating to allegations of conflicts of interest on the part of arbitrators in domestic arbitration. What is the relationship between parties and arbitrators? Please elaborate on the contractual relationship between parties and arbitrators, neutrality of party-appointed arbitrators, remuneration and expenses of arbitrators. An arbitrator is required to be independent and impartial. Thus, section 8 of the Act and article 9 of the Arbitration Rules require that a potential arbitrator discloses to the parties any circumstance that is likely to give rise to justifiable doubts as to his or her impartiality or independence. The arbitrator must be free from bias or undue influence and should be objective. Each party must be given the opportunity to present its case, and, where there is a hearing, it must be done in the presence of both parties. Where the arbitrator receives information from one party, the arbitrator must disclose it to the other party. To what extent are arbitrators immune from liability for their conduct in the course of the arbitration? There is no provision in the ACA conferring immunity on arbitrators. However, their immunity when exercising their arbitral duties is generally considered as a public policy. Notably, section 18 of the LSAL, confers immunity on an arbitrator for anything done or omitted in the discharge of his or her functions as arbitrator, unless the act or omission was determined to be in bad faith. What is the procedure for disputes over jurisdiction if court proceedings are initiated despite an existing arbitration agreement, and what time limits exist for jurisdictional objections? The ACA appears to have two contradictory provisions (sections 4 and 5 of the ACA) on stay of proceedings, which purport to have different effects. Section 4 is to the effect that the court shall, as a mandatory provision, stay proceedings and refer the parties to arbitration where an action that is the subject of an arbitration agreement is brought before such a court if a party so requests no later than when submitting his or her first statement on the substance of the dispute. Section 5, however, appears to offer the court a discretion in granting stay of proceedings and provides that if any party to an arbitration agreement commences any action in any court with respect to any matter that is the subject of that arbitration agreement, a counterparty to the arbitration agreement may, at any time after appearance and before delivering any pleadings or taking any other steps in the proceedings, apply to the court to stay the proceedings and refer the parties to arbitration. The court will stay proceedings if it is satisfied that there are no sufficient reasons why the matter should not be referred to the arbitration. It is crucial to know that a defendant who applies for a stay of proceedings in an action pending arbitration must not have delivered any pleadings or taken any steps in the proceedings beyond entering a formal appearance. However, the LSAL contains no such contradiction, as section 6 makes it mandatory for the court to grant a stay where an action brought before it is the subject of an arbitration agreement on the application of a party, no later than when submitting the first statement on the substance of the dispute stay proceedings, as long as they concern that matter. What is the procedure for disputes over jurisdiction of the arbitral tribunal once arbitral proceedings have been initiated, and what time limits exist for jurisdictional objections? Section 12(1) of the ACA authorises an arbitral tribunal to rule on questions pertaining to its jurisdiction and on any objections with respect to the existence or validity of an arbitration agreement. A plea that the arbitral tribunal lacks jurisdiction must be raised no later than the time of submission of the points of defence, and a party is not precluded from raising such plea by reason that he or she has appointed or participated in the appointment of an arbitrator. Furthermore, a plea that the arbitral tribunal is exceeding the scope of its authority can be raised as soon as the matter alleged to be beyond the scope of its authority is raised during the proceedings. However, an arbitral tribunal shall rule on any such pleas as either a preliminary question or in an award on the merits, and such ruling is final and binding. The Act makes no provision for circumstances in which parties can be precluded from raising jurisdictional objections. Failing prior agreement of the parties, what is the default mechanism for the place of arbitration and the language of the arbitral proceedings? In a situation where the parties did not provide for the place of arbitration and language of the proceedings, the tribunal shall provide for a place that is convenient to both parties, and the language to be adopted shall be a language relevant to the circumstances of the case. How are arbitral proceedings initiated? The first step for the initiation of arbitral proceeding according to article 3 of the Arbitration Rules is for the party initiating recourse to arbitration (claimant) to give to the other party (respondent) a notice of arbitration. An arbitral proceeding shall be deemed to have commenced on the date on which the notice of arbitration is received by the respondent. Is a hearing required and what rules apply? Except where the contrary is expressed by the parties in the agreement, the arbitral tribunal shall decide whether the arbitral proceedings shall be conducted orally on the basis of the document or other materials, or both. The arbitration is also to be conducted in accordance with the procedure contained in the Arbitration Rules. By what rules is the arbitral tribunal bound in establishing the facts of the case? What types of evidence are admitted and how is the taking of evidence conducted? The rules of evidence that would be applied by an arbitral tribunal are any rules arising from or referred to by the parties in the arbitration agreement, general evidential principles, such rules as the arbitral tribunal may direct or a combination of these rules and principles. The types of evidence that are admitted include statements, documents, other information, expert reports and evidentiary documents (section 20(3) and (4)). Section 20(5) of the ACA gives power to the arbitral tribunal, unless otherwise agreed by the parties, to administer oaths to or take the affirmations of the parties and witnesses appearing. Section 20(6) of the ACA allows any party to an arbitral proceeding to issue out a writ of subpoena ad testificandum or subpoena duces tecum. However, no person shall be compelled under such writ to produce any document that he or she could not be compelled to produce on the trial of an action. Section 22(1)(a) of the ACA vests power on the arbitral tribunal to appoint experts on specific issues to be determined by the tribunal. The tribunal, under section 22(1)(b), can request that a party supply the expert with relevant information or produce or provide access to any documents, goods or other property for inspection. The expert, after delivering the written or oral report, may participate in the hearing at the request of a party or on the consideration of the tribunal as being necessary. The parties will thus be entitled to put questions to the expert and present expert witnesses to testify on their behalves on the points at issue (section 22(2)). In what instances can the arbitral tribunal request assistance from a court, and in what instances may courts intervene? to enforce or refuse the enforcement of an award. power to pronounce on the consequence of an arbitrator’s resignation where the parties fail to agree (section 14). A thorough review of the provisions of both the ACA and the LSAL will show that there are no rules of confidentiality in arbitral proceedings in Nigeria. Thus, the extent of confidentiality and privacy in any proceeding is a matter to be determined by the arbitration agreement between the parties, and one for the discretion of the tribunal to determine the rules of confidentiality applicable to the case. However, arbitral proceedings are generally considered confidential and private by practitioners and users alike. Article 25(4) of the Arbitration Rules of the ACA provides that hearings shall be in camera unless the parties agree otherwise. What interim measures may be ordered by courts before and after arbitration proceedings have been initiated? Article 26 of the Arbitration Rules entitles a court approached by a party to arbitral proceedings to grant interim relief. The Arbitration Rules provide that such a request will not be deemed incompatible with the agreement to arbitrate, or as a waiver of that agreement. Section 5 of the ACA also vests the court the power to stay proceedings where a party to the arbitration agreement commences an action with respect to a matter that is the subject of an arbitration agreement and an application is made by the other party to the court to stay proceedings. Section 21 of the LSAL also provides that the court shall have the power to issue interim measures for the purposes of and in relation to arbitration proceedings as it has for the purpose of and in relation to proceedings in the courts, and shall exercise that power in accordance with the rules set out in the Schedule to the Law. Sections 29-31 also provides for the court’s power to recognise and enforce, or refuse, recognition and enforcement of interim measures issued by an arbitral tribunal. Does your domestic arbitration law or do the rules of the domestic arbitration institutions mentioned above provide for an emergency arbitrator prior to the constitution of the arbitral tribunal? The office of an emergency arbitrator appointed temporarily and prior to the constitution of the arbitral tribunal is yet to be recognised under the ACA, the LSAL or the Arbitration Rules. Nonetheless, the Lagos Court of Arbitration Rules (the LCA Rules) 2011, which govern both institutional and ad hoc proceedings, make provisions for a special measures arbitrator in article 11, which is similar to the emergency arbitrator. What interim measures may the arbitral tribunal order after it is constituted? In which instances can security for costs be ordered by an arbitral tribunal? Section 13 of the ACA empowers the tribunal to order a party, upon the request of the other party, to take interim measures of protection as the tribunal may consider necessary in respect of the subject matter of the dispute, and the tribunal may request any party to provide appropriate security in connection with any measure taken. Article 26 of the Arbitration Rules further goes on to list some of the measures, such as measures for the conservation of the goods forming the subject matter in dispute, such as ordering their deposit with a third person or the sale of perishable goods. Such interim measures may be established in the form of an interim award, and the tribunal shall be entitled to require security for the costs of such measures. Section 21(2) and (3) of the LSAL also provides that the arbitral tribunal may, at the request of a party, grant interim measures, including the powers to maintain or restore the status quo pending the determination of the dispute; take action that would prevent, or refrain from taking action that is likely to cause, current or imminent harm or prejudice to the subject matter of the dispute or the arbitral process itself; provide a means of preserving assets out of which a subsequent award may be satisfied; or preserve evidence that may be relevant and material to the resolution of the dispute. Pursuant to your domestic arbitration law or the rules of the domestic arbitration institutions mentioned above, is the arbitral tribunal competent to order sanctions against parties or their counsel who use ‘guerrilla tactics’ in arbitration? May counsel be subject to sanctions by the arbitral tribunal or domestic arbitral institutions? Neither the arbitration laws nor the arbitration rules confer specific powers on an arbitral tribunal to order sanctions against parties or their counsel. In instances where the tribunal considers that the conduct of a party or its counsel has amounted to ‘guerilla tactics’, the only sanction available under Nigerian laws and rules would be the tribunal’s discretionary powers related to the issue of costs. Given that counsel will not be party to the proceedings, a tribunal would not have the power to subject counsel to any sanctions. Where the tactics that are of concern relate to the delivery of process or attendance at hearings, the rules contain provisions that enable the tribunal to sanction parties by, for example, terminating proceedings for failure to communicate claims within the stipulated period, as provided by article 28 of the Rules under the ACA. Failing party agreement, is it sufficient if decisions by the arbitral tribunal are made by a majority of all its members or is a unanimous vote required? What are the consequences for the award if an arbitrator dissents? Section 24 of the ACA provides that where there is more than one arbitrator, any decision of the tribunal shall, unless otherwise agreed by the parties, be made by a majority of all its members. Therefore, the dissent of a minority arbitrator will have no consequence whatsoever on the enforceability of the award, except if the parties have agreed to the contrary. This same position was reproduced in article 31(1) of the Arbitration Rules. How does your domestic arbitration law deal with dissenting opinions? As stated in question 33, the Act makes no special provision for a dissenting opinion. However, the opinion of the majority of the arbitrators will always prevail. What form and content requirements exist for an award? In line with section 26 of the Act, an award must be in writing and be signed by the arbitrators. It must also contain the reasons upon which it was based (unless agreed by both parties that no reason should be given), the date it was made and the place of arbitration. Does the award have to be rendered within a certain time limit under your domestic arbitration law or under the rules of the domestic arbitration institutions mentioned above? The Act does not make any such provision as to the time limit within which the award must be rendered. However, it is a custom of arbitration that the award must be within a reasonable time. For what time limits is the date of the award decisive and for what time limits is the date of delivery of the award decisive? Similar to the above, there is no specific time limit in either the Act or the Arbitration Rules. But it is strongly encouraged that the awards be delivered within a reasonable time. Article 32(2) of the Rules provides that the parties are to undertake to carry out the award without delay. What types of awards are possible and what types of relief may the arbitral tribunal grant? There are final, interlocutory, default, interim and consent awards. Also, the reliefs granted could be monetary, declaratory, performance, injunctive or rectification. By what other means than an award can proceedings be terminated? By the virtue of section 27 of the ACA and section 48 of the LSAL, an arbitral proceeding could be terminated where parties agree on a settlement of the dispute, or where the claimant withdraws his or her claim, unless the respondent objects thereto and the arbitral tribunal recognises a legitimate interest on his or her part in obtaining a final settlement of the dispute; or the arbitral tribunal finds that continuation of the arbitral proceeding has for any reason become unnecessary or impossible. The LSAL goes further to provide in section 13 that where the arbitrator is removed by an arbitral, or other person vested by the parties with powers in that regard, the mandate would terminate. How are the costs of the arbitral proceedings allocated in awards? What costs are recoverable? costs for legal representation and assistance of the successful party, if such costs were claimed during the arbitral proceedings, and only to the extent that the arbitral tribunal determines that the amount of such costs is reasonable. May interest be awarded for principal claims and for costs, and at what rate? The ACA contains no express provision conferring power to award interest on an arbitral tribunal. The LSAL, however, provides at section 46 that arbitrators may award interest. Nonetheless, under the ACA, interest is usually awarded on principal claims at rates established by evidence of the party seeking the award of interest. The award of interest on costs is unusual, but there is no express prohibition against the award of interest on costs. Does the arbitral tribunal have the power to correct or interpret an award on its own or at the parties’ initiative? What time limits apply? Section 28(3) of the Act and article 36 of the Arbitration Rules empower the tribunal to correct any errors in the award relating to computation, clerical or typographical errors, or any errors of a similar nature, on its own volition and within 30 days of the date of the award. How and on what grounds can awards be challenged and set aside? In line with sections 29 and 30 of the Act, an award can be challenged and set aside if the aggrieved party can furnish proof that the arbitral award contains matters beyond the scope of submission to arbitration, the arbitrator misconducted himself or herself, or the award was improperly procured. How many levels of appeal are there? How long does it generally take until a challenge is decided at each level? Approximately what costs are incurred at each level? How are costs apportioned among the parties? An arbitral award is final and cannot be appealed. No court has the jurisdiction to hear appeals from the decisions of an arbitral tribunal on its merits. However, an arbitral award may be challenged by making an application to a competent court for the award to be set aside. Where an application is made to set aside an arbitral award, an application originating in the High Court can be appealed to the Court of Appeal and up to the Supreme Court, on grounds of law. Generally, there is no specific timeline for the challenge of an arbitral award. What requirements exist for recognition and enforcement of domestic and foreign awards, what grounds exist for refusing recognition and enforcement, and what is the procedure? All domestic awards are to be recognised as binding and shall, upon application in writing to the court, be enforced by the court (see section 31 of the ACA). As for the foreign awards, section 51 of the ACA provides that an arbitral award shall, irrespective of the country in which it is made, be recognised as binding and, upon application in writing to the court, be enforced. where the award or arbitration agreement is not made in English, a duly certified translation thereof into English. the recognition or enforcement of the award is against the public policy of Nigeria. The LSAL contains a provision that purports to enable courts in Lagos State to enforce awards, irrespective of the jurisdiction in which it was made. What would be required is the ability to invoke the jurisdiction of the court over the party against which an award has been made. Is there a limitation period for the enforcement of arbitral awards? Yes, there is. 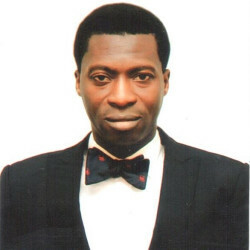 Section 8(1)(d) of the Limitation Law of Lagos State (with similar provisions in the Limitation Laws of other states) provides that every application to enforce an arbitral award must be brought within six years from the date the cause of action accrued - the cause of action being the right to enforce the arbitral award. What is the attitude of domestic courts to the enforcement of foreign awards set aside by the courts at the place of arbitration? Section 52 (2)(a)(viii) of the ACA provides that Nigerian courts may refuse to recognise and enforce an award if it has been set aside or suspended by a court of the country in which, or under the law of which, the award was made. As indicated in question 45, the LSAL provides that the Lagos State High Court may enforce awards irrespective of where they were made. Does your domestic arbitration legislation, case law or the rules of domestic arbitration institutions provide for the enforcement of orders by emergency arbitrators? As mentioned in question 30, the idea of an emergency arbitrator prior to the constitution of the proper arbitral tribunal is unrecognised in Nigeria. However, section 13 of the ACA empowers the arbitral tribunal to order any party to take such interim measure of protection as the arbitral tribunal may consider necessary in respect of the subject matter of the dispute. In cases of extreme of urgency, a party intending to commence arbitration may apply to the High Court for interim measures to protect the subject matter of the dispute. Nonetheless, as mentioned in question 30, the LCA Rules, which govern institutional and ad hoc proceedings, make provisions for the appointment of a special measures arbitrator. What costs are incurred in enforcing awards? Costs that may be incurred in enforcing arbitral awards are legal practitioners’ fees for the preparation and filing of the necessary applications, and some small administrative fees. What dominant features of your judicial system might exert an influence on an arbitrator from your jurisdiction? Nigeria is a common law jurisdiction and, consequently, arbitral proceedings tend to be conducted in an adversarial as opposed to inquisitorial manner. Are specific professional or ethical rules applicable to counsel in international arbitration in your jurisdiction? Does best practice in your jurisdiction reflect (or contradict) the IBA Guidelines on Party Representation in International Arbitration? There are no specific professional or ethical rules applicable to counsel in international arbitration. The present state of Nigerian law is that only persons admitted to the Nigerian Bar may act as counsel in arbitration in Nigeria. Therefore, Nigerian rules of professional conduct apply to counsel conducting arbitration. Nigerian best practices reflect the IBA Guidelines on Party Representation in International Arbitration, which, have been referred to with apparent approval in judicial decisions delivered by Nigerian courts. Is third-party funding of arbitral claims in your jurisdiction subject to regulatory restrictions? There are no regulatory restrictions related to third-party funding of arbitral claims. The common law tort of maintenance ceased to be a tort in Nigeria when it ceased to be a tort in England, following the passing of the Criminal Law Act in 1967. This is owing to the provisions of section 32 of the Interpretation Act of Nigeria, that the common law in England is also law in Nigeria. Accordingly, the abolition of the common law tort of maintenance in England also resulted in its abolition in Nigeria. What particularities exist in your jurisdiction that a foreign practitioner should be aware of? SPDC v Crestar (2015), decided by the Court of Appeal, seems to suggest that where proceedings are domestic in nature and a party chooses to be represented by a legal practitioner under the Arbitration Rules article 4, such legal practitioner must qualify under the definition of a legal practitioner in Nigeria as defined in sections 2 and 24 of the Legal Practitioner Act 1975 to be a person whose name is on the roll of legal practitioners kept at the Supreme Court. Sofunde, Osakwe, Ogundipe & Belgore (SOOB) is one of Nigeria’s leading law practices. With a broad spectrum of practise areas including Arbitration, Corporate and Finance and Investment & Acquisitions amongst others.